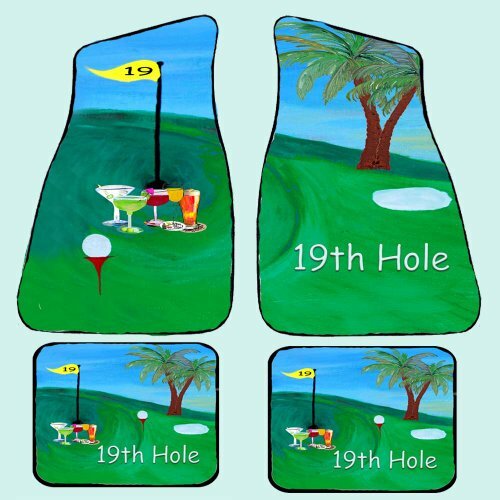 Golf 19th holeart Auto Car Floor Mats set of 4 from my original design, Front, 27" x 17"; 20 oz Loop, (set of 2) from my artwork . Rear(set of2) Size 17" x 13" Protect the interior of the vehicle and present a unique message to passengers. Durgan backed mats with black finished edges. Wash with gentle brush,soap and water.